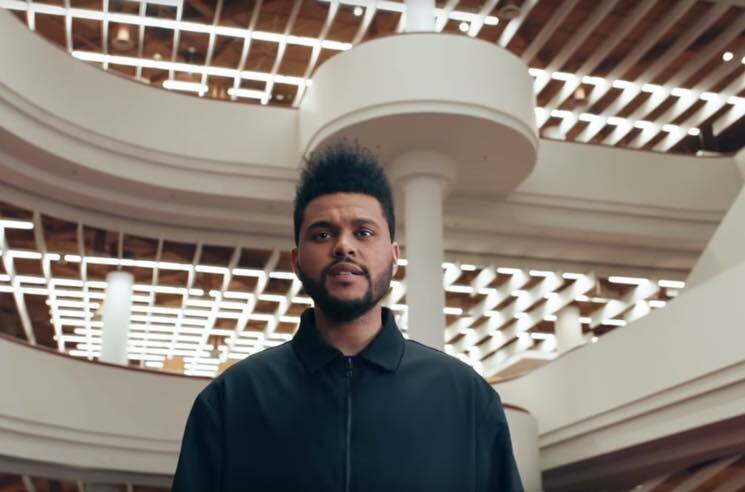 The Weeknd has dropped a fresh set of visuals for another track off last year's smash album Starboy. This time, it's "Secrets" that's been given the music video treatment, and the clip finds the Toronto singer continuing his tour of hometown landmarks. It seems like he hopped off his TTC ride with Future at Bloor-Yonge Station to take a stroll around the Toronto Reference Library. He gets caught up in a suspenseful love triangle, prowling through the towering levels of book stacks and glass elevators in an attempt to win the affections of his latest romantic interest. Who knew the library could be so exciting? Check out the clip for "Secrets" below. Order Starboy on red vinyl here and check out more of his albums here.